1. Own a sewing machine – possibly for my 30th birthday present, hints have been dropped by me anyway! 2. Learn to knit socks – I have sock yarn to make stripey socks. 3. Visit Buckingham Palace – will do this over the summer with a couple of friends. 4. Swim in a lake or stand under a waterfall – I may swim in the Serpentine over this summer or next summer. 5. Own a home (the BIG challenge) – saving for this every day where possible. 8. Go to a soap making workshop – DONE!! And I have been studying towards a CPD at home course and soap will soon be available for purchase in my shop. 9. Learn to hang wall paper – Dad plans to do some decorating later this year and I will be roped in to help no doubt. 10. 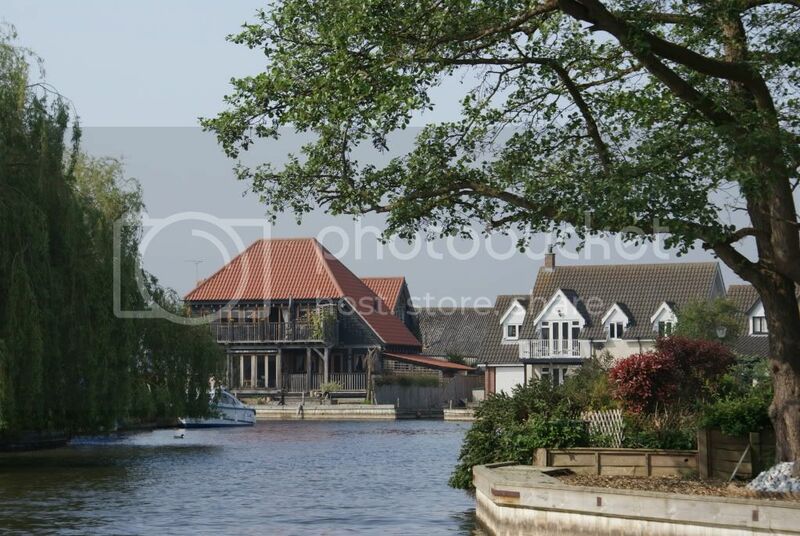 Spend a night on the Norfolk Broads – DONE, well sort of! I will blog about this soon! 11. Learn to make pastry – not yet. 12. Learn the succession of kings and queens from William the Conqueror in 1066 – not yet. 13. Make and wear my own dress – I have three patterns now, just need to buy some fabric. 14. Read 5 books from my bookshelf - I currently own 40 books that I have not yet read – one down and four to go. 15. Have a make up lesson – DONE – will blog on this too. 16. Do something every day to make me smile – I actively try to do this every day even if I couldn’t manage writing it in my journal. 17. Learn to change a car tyre – Um…..
18. Be able to jog a mile with out stopping - with my leg issues this is a BIG thing.- As of TODAY I am able to go to the gym again and I have a lovely personal trainer called Alicia so I’m working in this. 20. Sleep for 6.5+ hours sleep a night consistently – Excuse me whilst I laugh uncontrollably! 23. Have Butterfly-Crafts mentioned in a newspaper or magazine – DONE!! – I need to blog about this too! 26. Begin to have the stamina, strength & body shape from pre-leg issues – see number 18 and picture of "old" me! 27. Watch: Goodfellas, Casablanca, Dr Zhivago, Gone With the Wind, The Philadephia Story, A Street Car Named Desire, Ferri Beulers Day Off, Schindler's List, The Godfather and Citizen Cane – I joined LoveFilm and am slowly working through this list. 30. Visit 15 exhibitions at museums and galleries – I think I’m at about 5 visited, I need to blog about each one. I will strive to have some more frequent individual blogs posted more regularly and will do a full update as close to the first of each month depending on what other blogs I have scheduled.